A standard focal length, f/2.8 perspective control lens with 1:2 reproduction ratio. 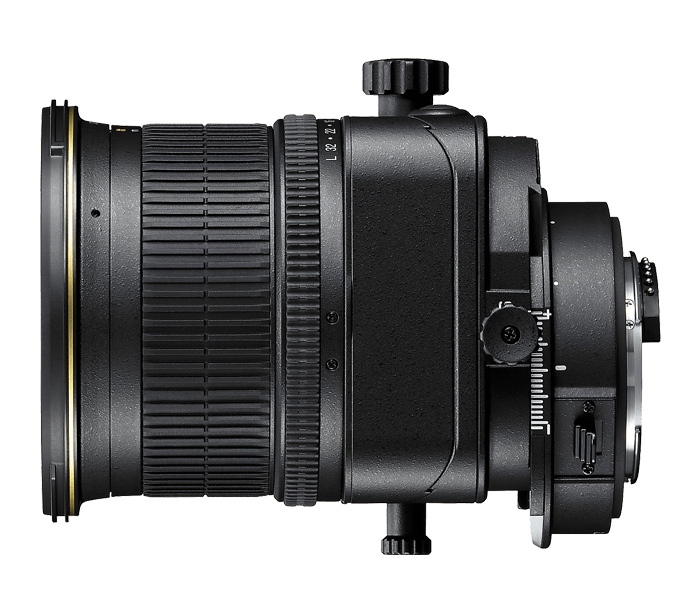 The medium focal length of Nikon’s three perspective control (tilt-shift) lenses, the PC-E Micro NIKKOR 45mm f/2.8D ED delivers a standard angle of view plus a 1:2 reproduction ratio ideal for product/catalog photography and other commercial applications. Featuring Nikon’s unique tilt, shift and rotation capabilities and the superior optical design and construction that have made NIKKOR lenses famous, the PC-E Micro NIKKOR 45mm f/2.8D ED is a must have for serious commercial and studio photographers who prefer the standard angle of view. Nikon’s high performance perspective control lenses let you quickly adjust the lens' focal plane—independent of your camera position—to match your subject composition, enhance depth-of-field, selectively focus, correct perspective anomalies and more. The PC-E Micro NIKKOR 45mm f/2.8D ED combines that control with 1:2 (reproduction ratio) macro shooting and a fast f/2.8 maximum aperture for commercial and studio applications. Like all NIKKOR lenses, the PC-E Micro NIKKOR 45mm f/2.8D ED produces truly superior images. Three Extra-low Dispersion (ED) glass elements ensure outstanding sharpness and color reproduction. Nano Crystal Coat (N) virtually eliminates ghosting and flare and Nikon’s exclusive Close-Range Correction (CRC) system enhances performance at close distances. And since it’s a Nikon, you can expect the highest standard of lens design and durabliity for years of consistent performance.